A lengthy interview – everything you ever wanted to know about me and writing! I was brought up in Glenrothes, in Fife; escaped to Edinburgh for five years; and ended up back in Glenrothes where I’m a Council lawyer by day. I’m married, with an 18 year old daughter. 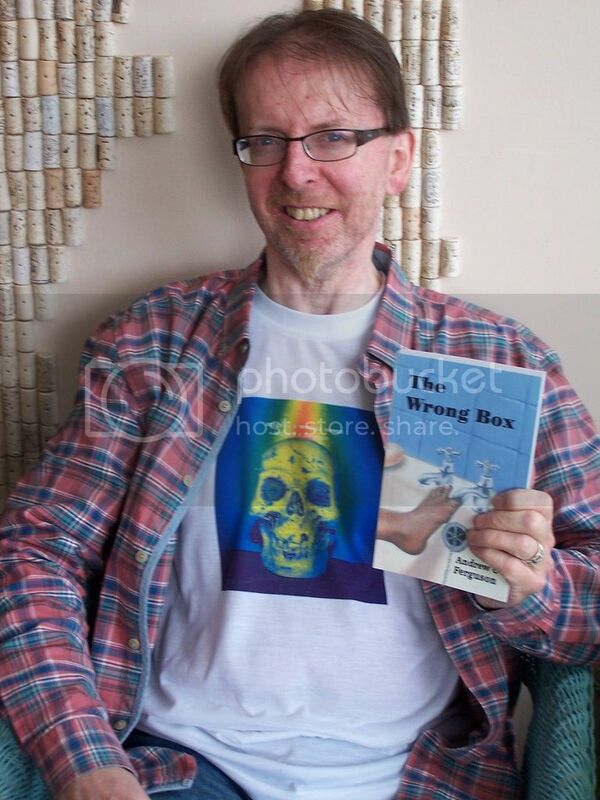 That would be the publication of my novel, The Wrong Box, by Thunderpoint. I started as a teenager. Why’s a good question! I guess it was something I was told I was good at – I had an inspirational English teacher, my father was also a writer in his spare time, so maybe it was a way of getting approval too. Hi. I’m well into your book. I wish I had Simon English’s negotiating skills. And I wouldn’t have minded, years ago, having his abilities to attract the ladies! Haha glad you’re enjoying it, Neil!